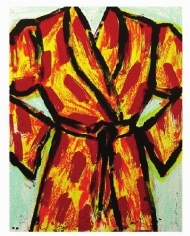 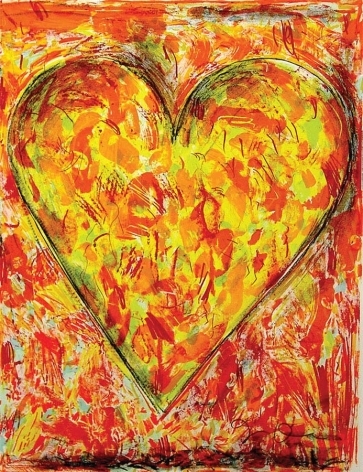 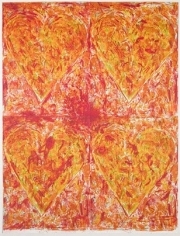 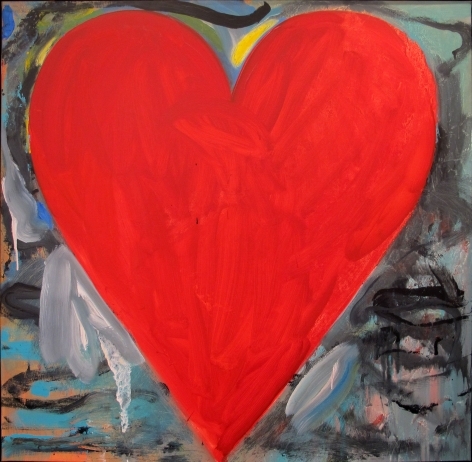 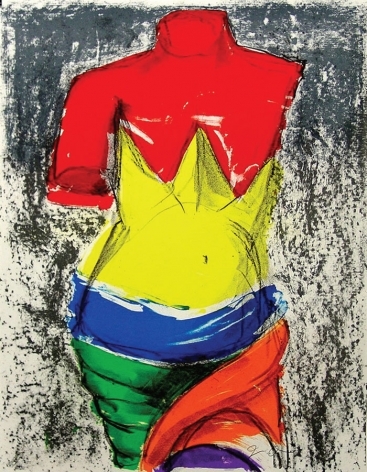 Jim Dine was born in 1935 in Cincinnati, Ohio. 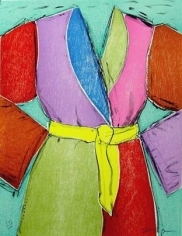 He studied at night at the Art Academy of Cincinnati during his senior year of high school and then attended the University of Cincinnati, the School of the Museum of Fine Arts, Boston, and Ohio University, Athens, from which he received his BFA in 1957. 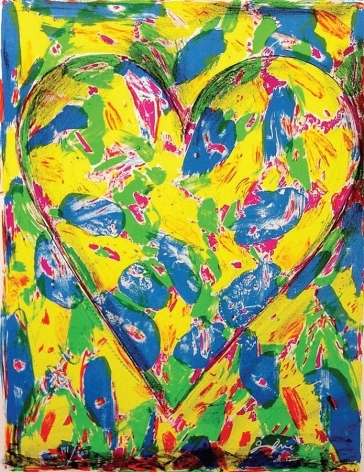 Dine moved to New York in 1959 and soon became a pioneer of theHappenings movement together with Allan Kaprow, Claes Oldenburg, and Robert Whitman. 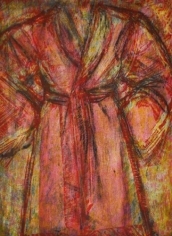 He exhibited at the Judson Gallery, New York, in 1958 and 1959, and his first solo show took place at the Reuben Gallery, New York, in 1960.